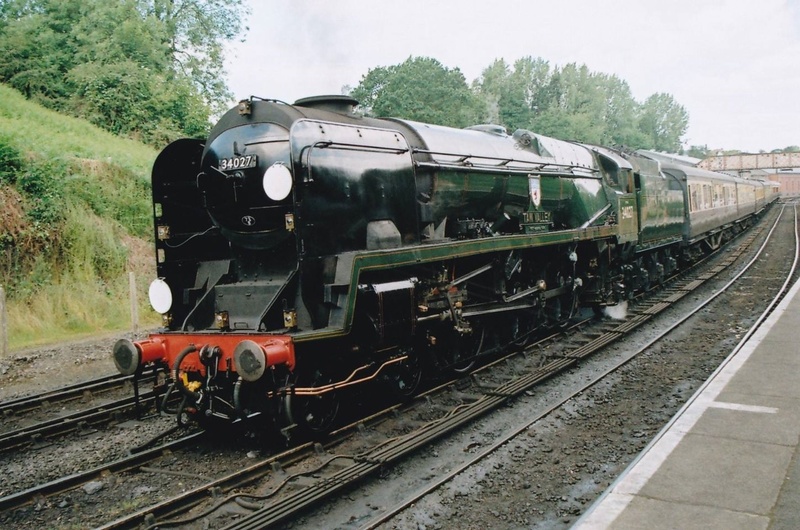 The Severn Valley Railway Ladies Day takes place on 25 July 2015, an indulgent day of fashion, heavenly hats and flowers. Attractions include the Aelfgythe Morris Dancing troupe who will be dancing along the line during the day. There will also be an opportunity to Take a luxurious ride in the elegant Observation Saloon and enjoy a mouth-watering selection of tempting bites to tickle your fancy, there may even be a glass of bubbly or two! For the more adventurous there is ‘The Flying Scotswoman’ Taster Footplate Experiences between Bewdley and Kidderminster and return. The Footlplate Experience gives you the opportunity to drive and fire a steam engine between Kidderminster and Bewdley. Other attractions include A beautifully restored 1933 Talbot 105 at Kidderminster Station. Vintage Charm Company will be present, they use the fingerprint impression, hand or foot print of your child or someone special to produce a unique and timeless solid silver charm.Sam’s Homemade Heaven will be selling a range of cushions, crystal window hangers, hand wrapped soaps and other delightful soft furnishings. There will also be A selection of preserves, jams, marmalades and other sweet treats on offer at Lyndy’s Country Kitchen.Floragraphics with local crafts and designs will also be present. Rebecca Harris Woodcraft will be Producing bowls, candlesticks and other wooden items.Neil Ferris Railway Art will also be showcasing a selection of paintings and prints of the beautiful Severn Valley Railway. Bewdley Blooms will be selling house plants and Jewellery at Arley Station. Garden Delight will be selling various gardening items at the Engine House in Highley and the Whirligig Man will be selling Weathervanes. Forever Beads will be selling high quality collectible charms and bead jewellery. Cordon Field will be selling a selection of quilts, cushions and animal beds.Vintage Vanity of Stourport Will also be hosting the Severn Valley Railway’s first ever Fashion Show. At Bridgnorth Station Severn Hospice Craft Club will be selling Handmade items made from recycled fabrics, vintage china and memorabillia. Hembra Crafts will be demonstrating a wool spinning wheel. During the afternoon Aelfgythe Morris Dancing Troupe will be dancing and Mother’s Goodies will be offering hand made craft items and natural products.